A different take on a classic pesto. 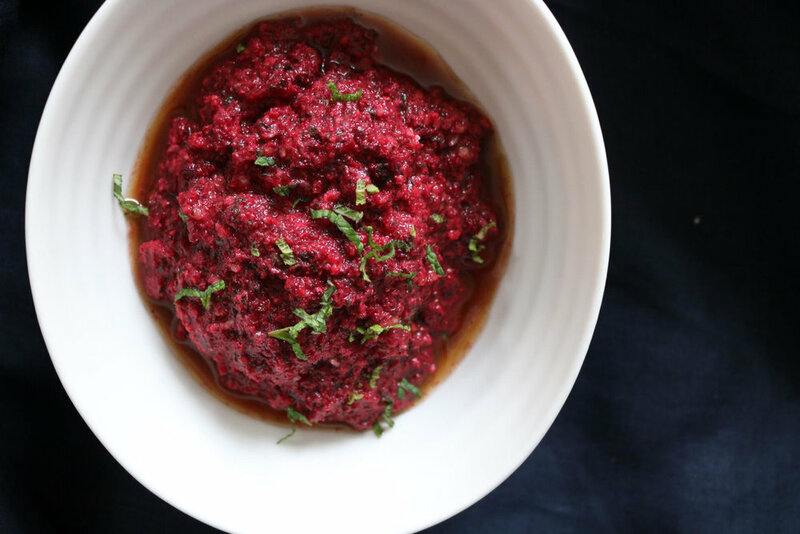 Simple to make, just requires the time to steam the beetroot, once that’s done it’s a matter of minutes! Delicious as a dip or condiment. Blend until all finely chopped but still retaining a little texture. You could also finely chop by hand or in a pestle and mortar. Classic Middle Eastern favourite of mine, babaganoush. You need to have an open fire to do this on but it’s very simple but so delicious, don’t be afraid to really burn the skin! Serve as part of a mezze or alone with toasted pita and fresh cut veggies to dip. Burn the aubergine over an open flame until charred all over, this should take a few minutes, turn regularly for even burning. Once cool enough to handle, peel off the charred skin. In a bowl mash the aubergine with a fork, grate or finely chop the garlic and add the rest of the ingredients. Mix together. 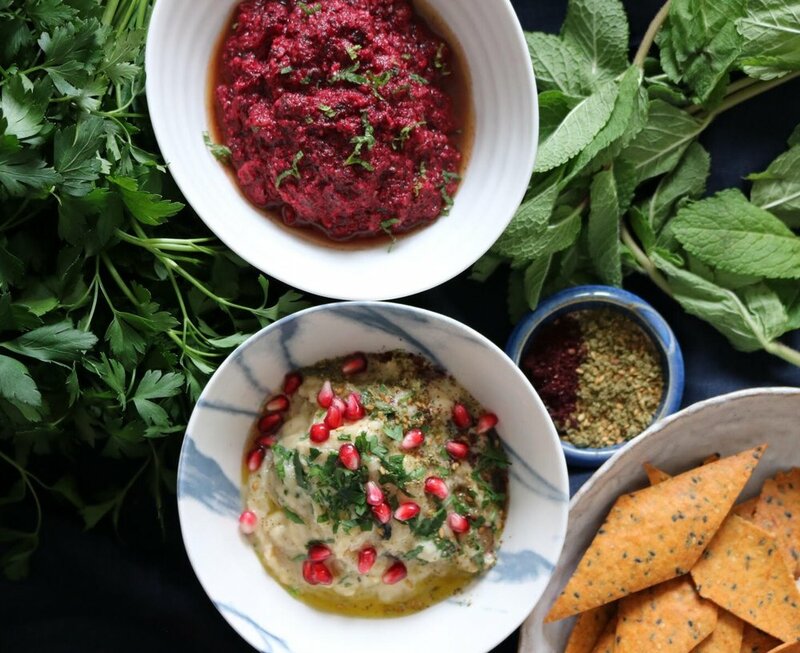 Garnish with freshly chopped parsley, sumac, zatar or pomegranate seeds for a pop of colour.